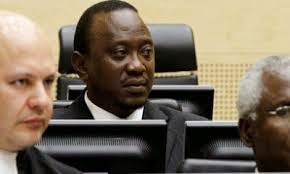 : WILL UHURU GO TO THE HAGUE? President Uhuru Kenyatta could finally make history as the first Head of State to physically appear before the International Criminal Court (ICC). The Trial Chamber V(b) which is handling Uhuru's case has issued an order requiring him to attend a status conference on October 8, this year. Though the Chamber did not spell out how the President would be expected to appear before it, he is likely to make his presence via video link from a location in Nairobi. Uhuru made such appearance before the chamber via video link in February last year, weeks before he was elected president on March 5. Since then, he has not been required to be present. But in a ruling yesterday, the Chamber presided by Judge Kuniko Ozaki ordered that Uhuru should be present during the second status conference. "Mr Kenyatta is required to be present at the second status conference. Both hearings will be held in the presence of the Prosecution, the Defence and the Legal Representatives of Victims," the court ruled yesterday.